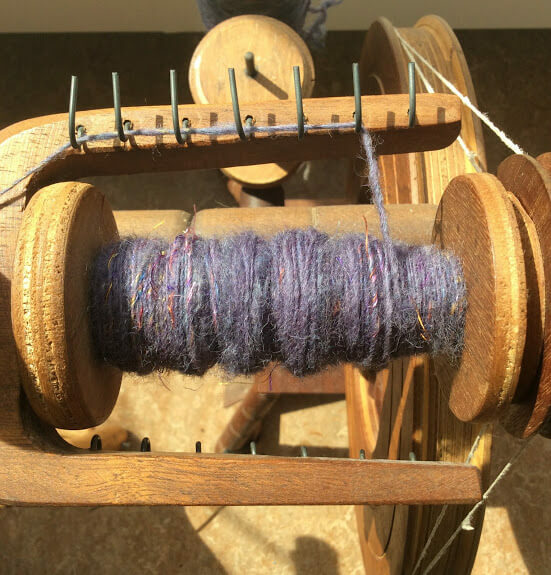 What I really love is to spin my own yarn and then design a pattern to use that yarn to its best advantage. 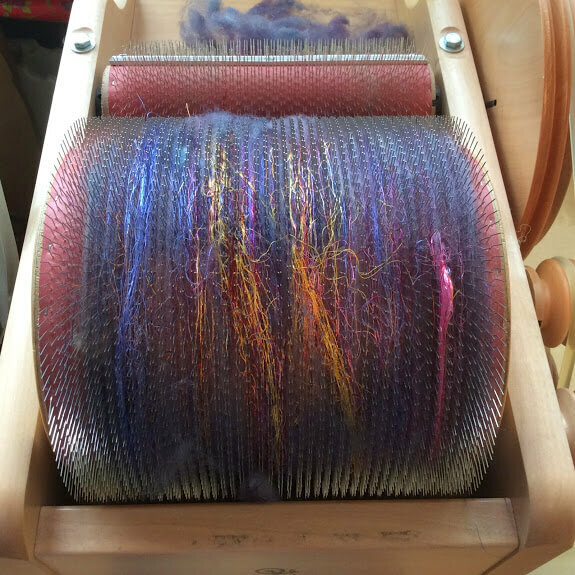 Often I just use ready-dyed top or roving, for example from wonderful dyers like Dutch Wool Diva. 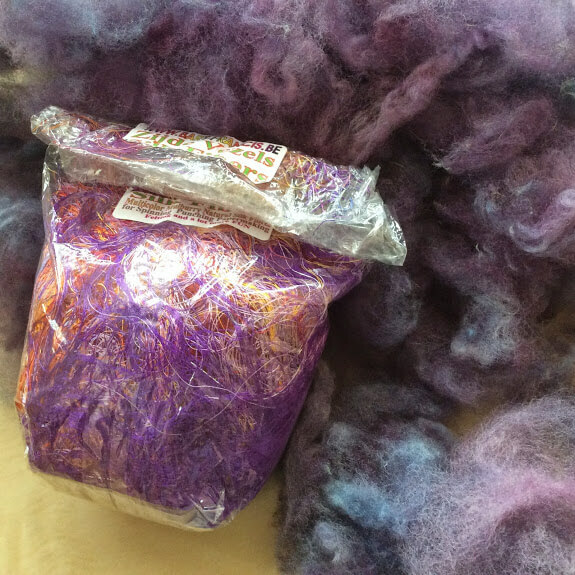 Other times I start out with a raw fleece and clean and dye it myself, like I showed you in the dyeing wool tutorial. 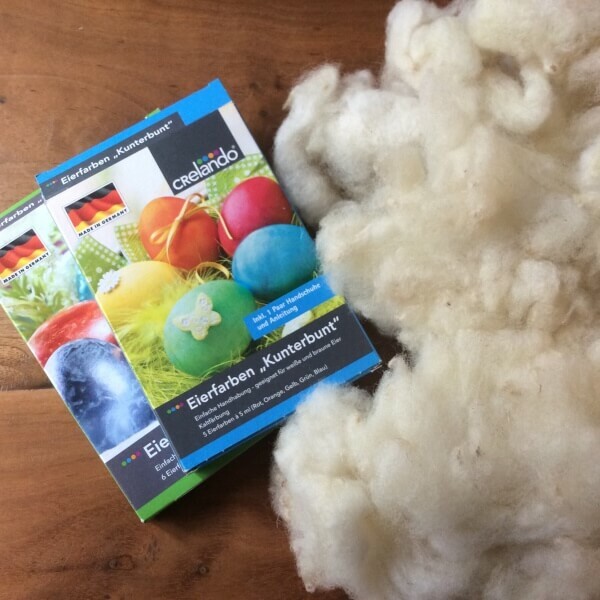 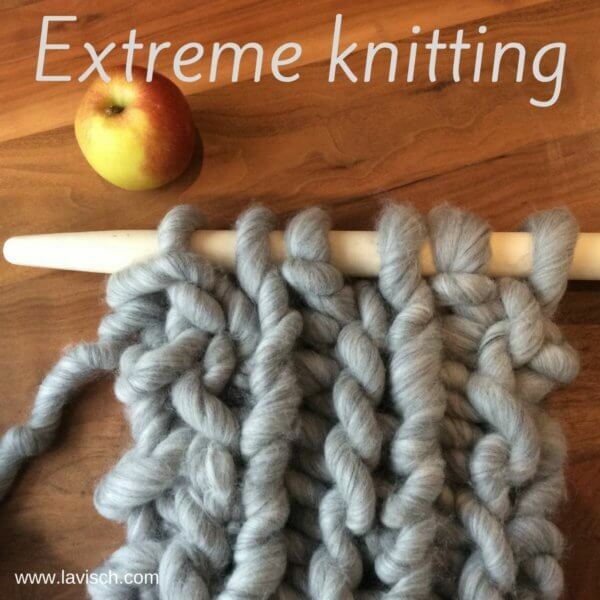 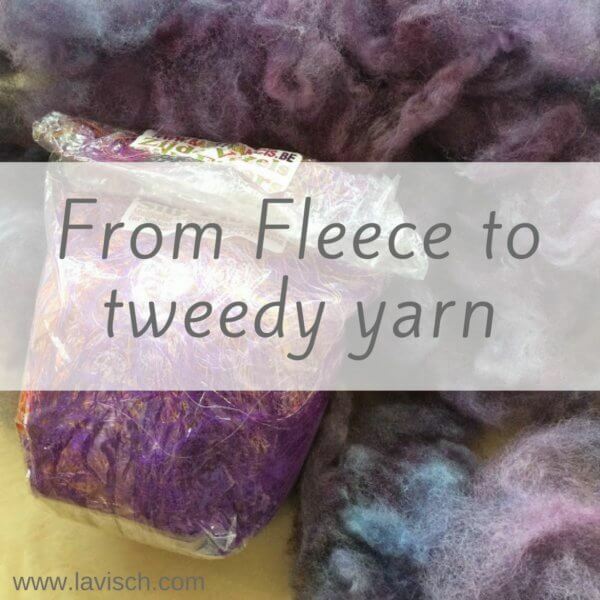 In this post I want to show you the steps involved in making a tweedy yarn from the fiber I dyed before. 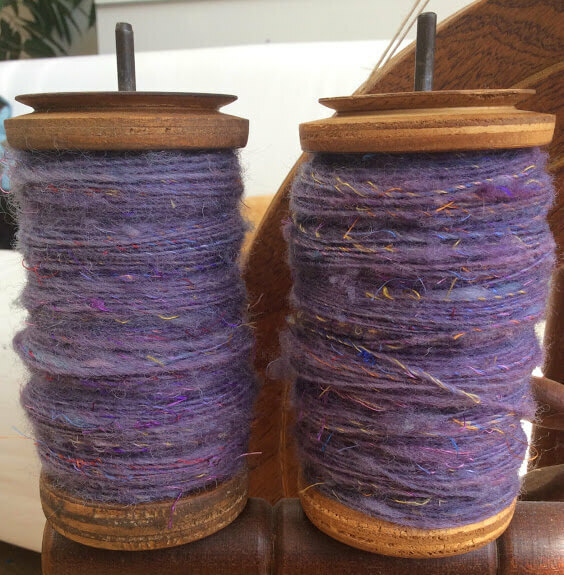 In tweed yarn contrasting flecks of color are featured on a solid background. 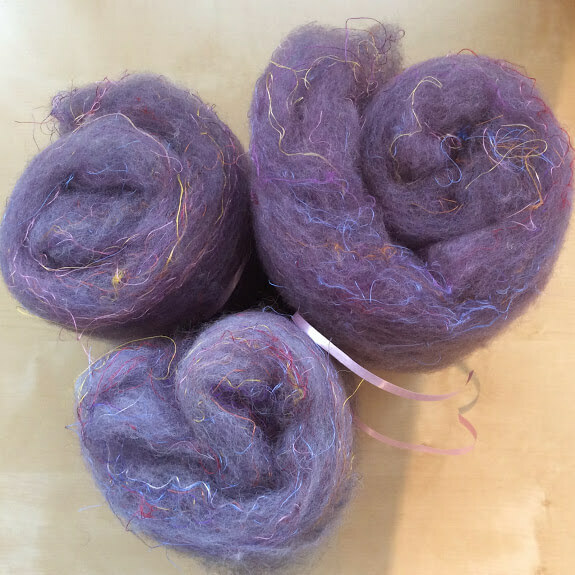 In this particular yarn I will be using sari silk threads as the contrasting component. 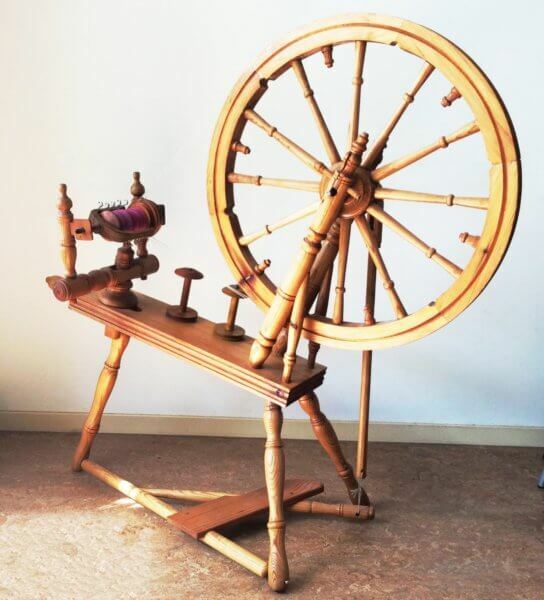 I got mine from Bart & Francis. 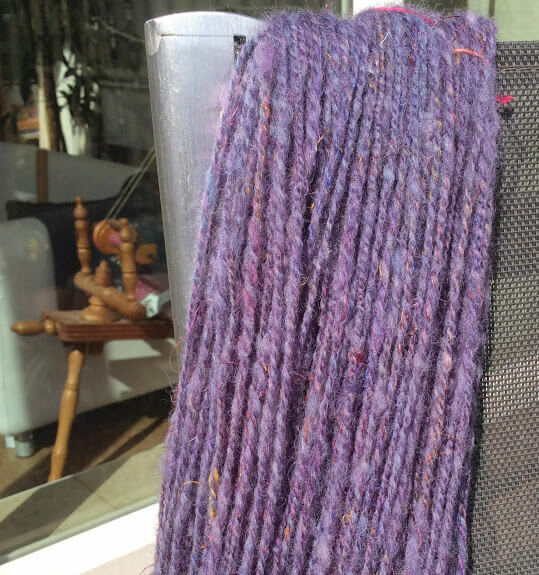 And of course the resulting and skeined up yarn! 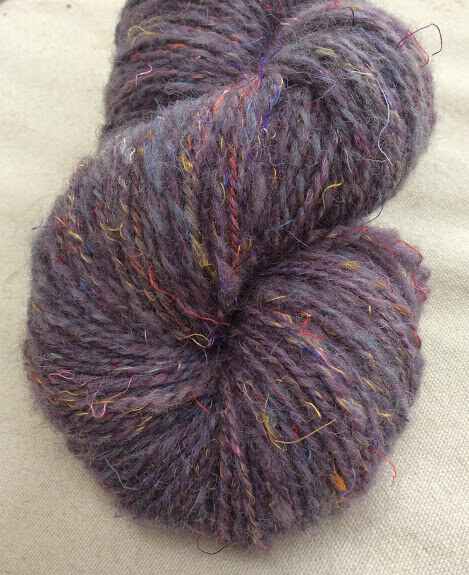 Truly from to tweedy yarn, I used it in my Purper Cowl design.